Landscaping is important to any housing scheme. 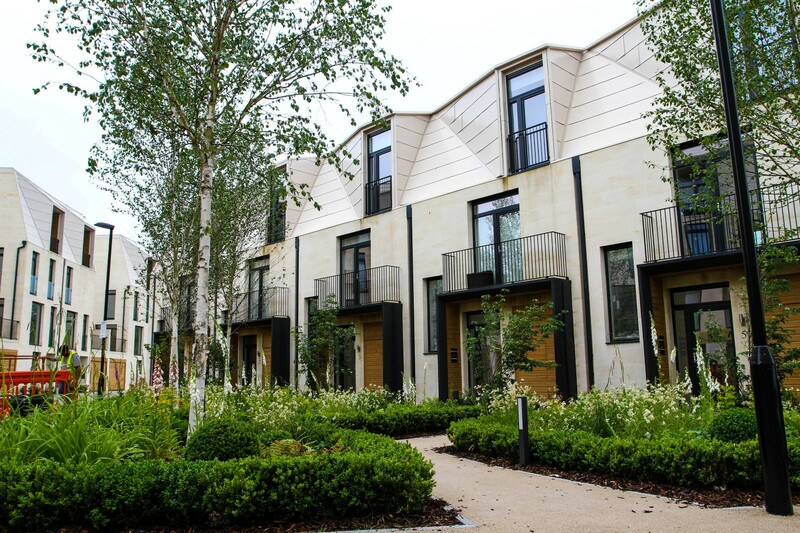 It can add to and reflect the build quality, from show home through to public open space areas. Elmtree appreciates that presentation can make a huge difference to sales on site, and will assist Clients in this from advising on ways to improve the presentation, to leaving the site tidy at the end of each day, or reacting quickly to a request for additional works. Our Company has been working on housing developments for over 40 years. We have moved with the times and know what is important to our Customers. How often have projects been delayed because a trade has not turned up? We always aim to turn up on site on the agreed day, or to contact the site manager to reschedule if there is an unexpected problem. 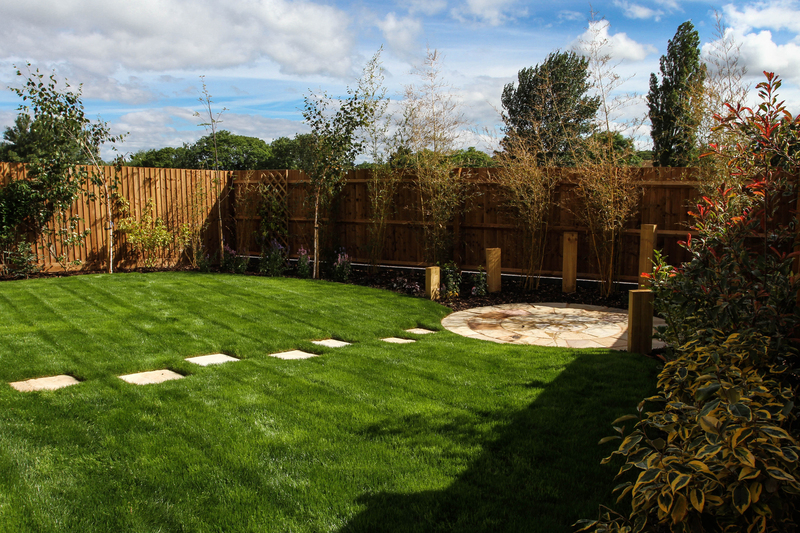 Elmtree has a vast experience of show area landscaping and can work with Clients to achieve the best possible looking gardens within budget and timescale, using a mixture of finishes and features such as planting, water features, decking, patios, fencing as well as one-off installations. We know that attention to detail is paramount. Landscaping to plots on the site – we recognise that this will be someone’s garden and aim to leave the job as we would expect our own gardens to be left, finished to the best possible standard. We can carry out design work in house, we are especially adept at carrying out show area garden design, from taking a brief from the Client to carrying out the design, making changes as required, and then implementing the scheme.